COMPANY through May 6; 88 Eldridge Street, fifth floor, companygallery.us. 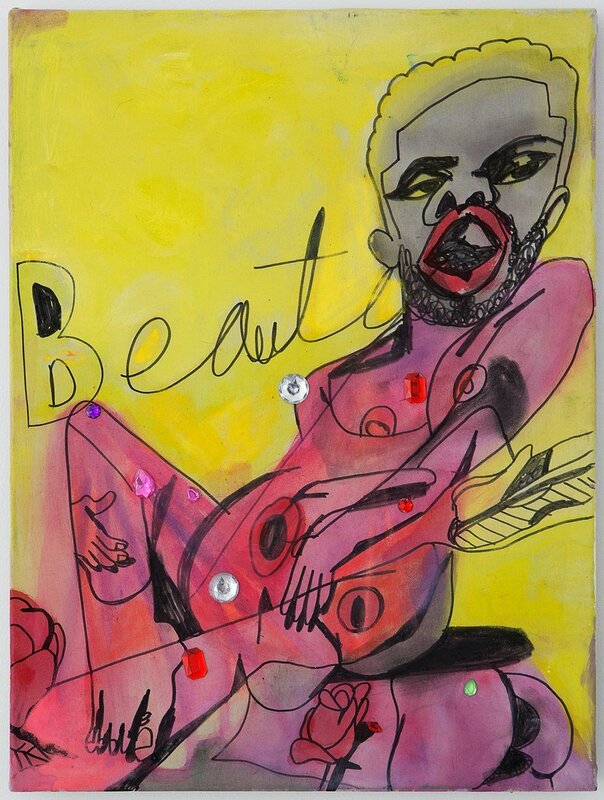 I bet Hudson would have liked the work of Jonathan Lyndon Chase, a young painter (born in 1989) who works out of his family home in Philadelphia. Despite the show’s title, “Quiet Storm” — which refers to a genre of mellow, primarily African-American pop music — there is nothing the least quiet about Mr. Chase’s exuberant brushwork, or his images of glittered-splashed flesh and gay coupledom. No doubt comparably bold, out-there work was done by brilliant artists in decades past, though we would probably never have seen it. Now, thanks to galleries like Company on Eldridge Street, we can.